Freddie is at the age now where he loves playing with interactive toys. 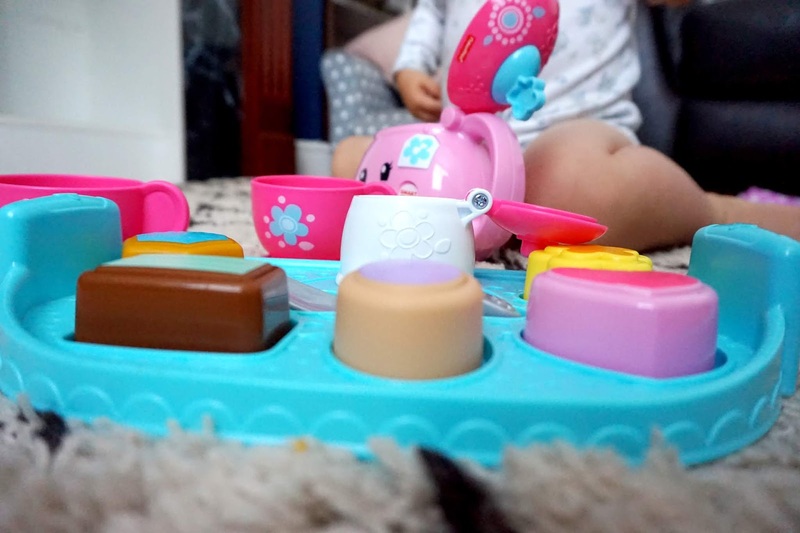 So when we were offered to review two of the new Fisher Price toys from the Laugh & Learn range, I knew Freddie would absolutely love them. I’ve always been a big fan of Fisher Price toys, they’re excellent quality, worth the price and colourful too. Not only that, I personally find that Fisher Price toys grow with your child from an early age. Their toys make learning super fun that the kids don’t even realise that they are learning. 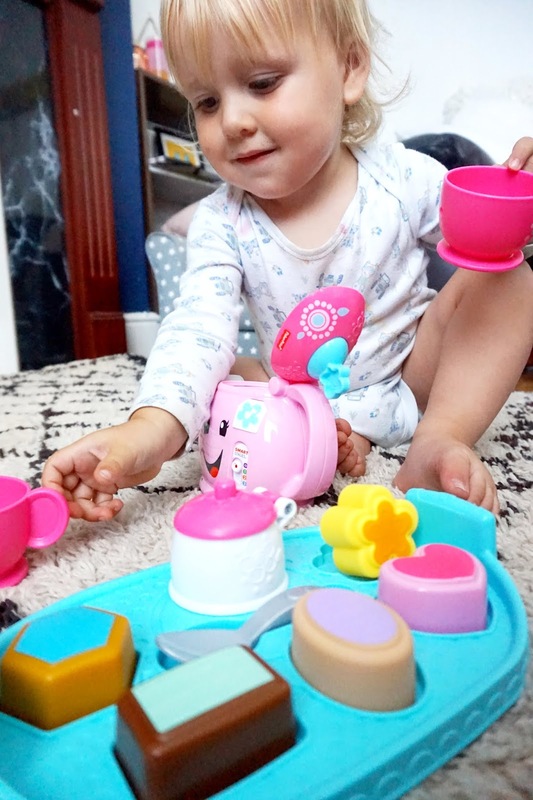 The first toy from the range is the Laugh & Learn Sweet Manners Tea Set. 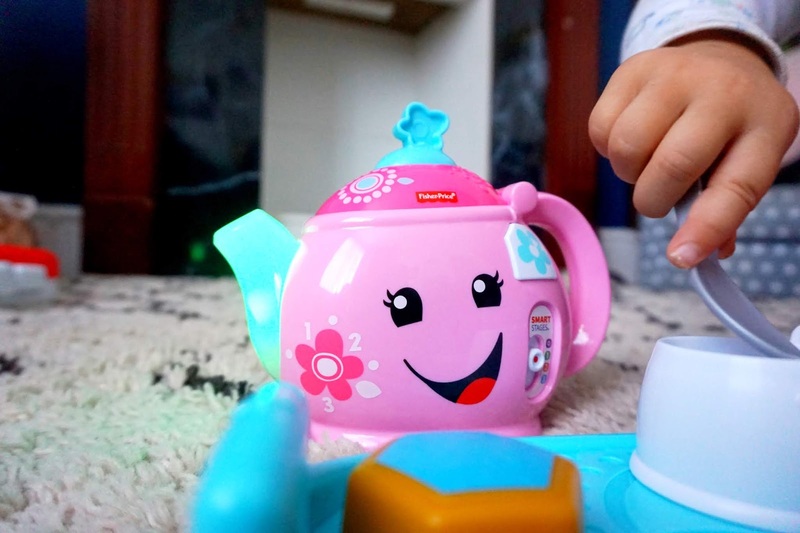 It comes with an interactive teapot, that sings, spout lights up in different colours and makes sounds when you “pour” the tea out. The set also comes with a tray with a sugar pot, some different shaped cakes, spoon and two pink teacups. 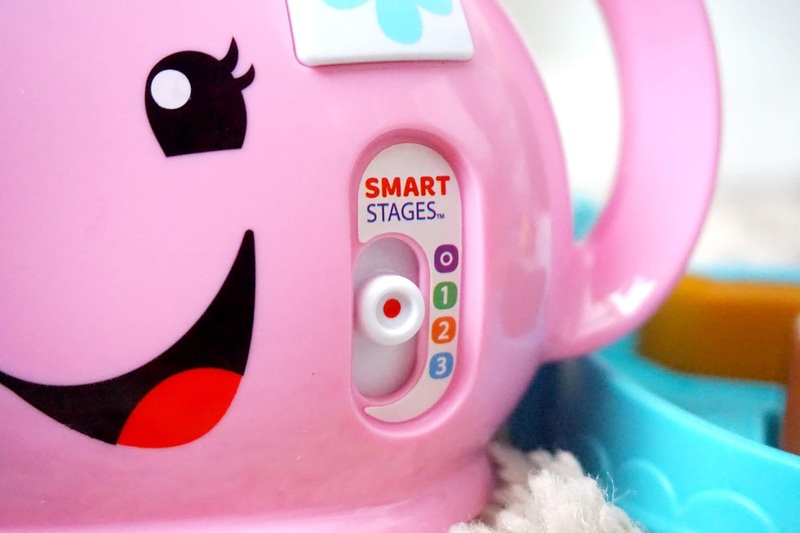 Something I love about Fisher Price toys is their Three Smart Stages because the toys will grow with the child. The different levels help teach your toddler advanced shapes, numbers, manners and expanded vocabulary. 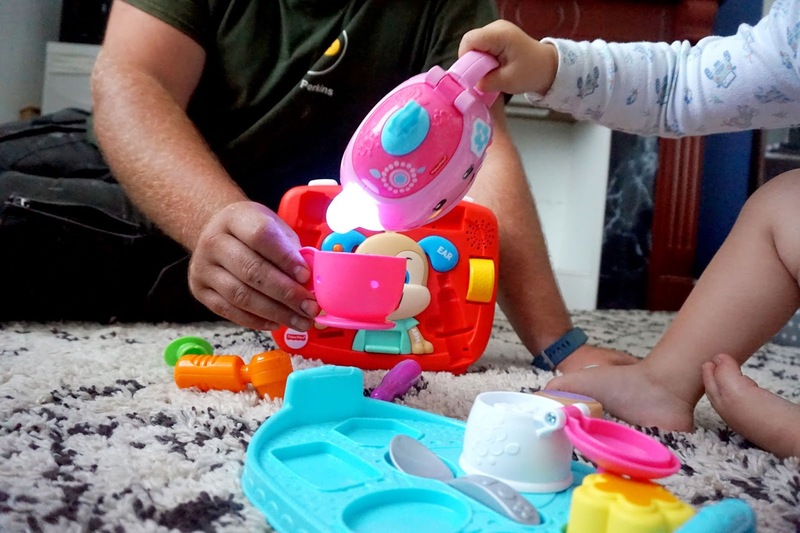 Freddie absolutely loved this toy, he loved making us cups of tea but pretending to add sugar in our teacups then “pouring” the tea out. He loves it when the spout of the teapot lights up in different colours and starts singing. It’s great for roleplaying, learning and also sharing. 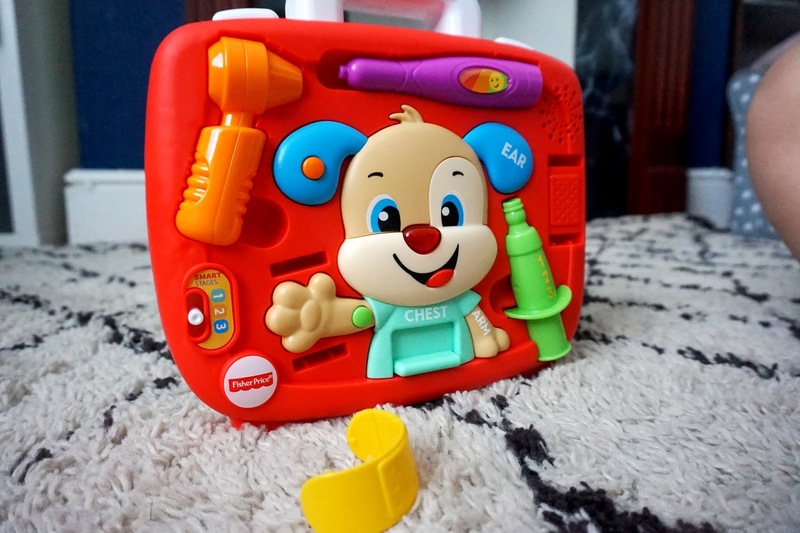 The next product we received was the Laugh & Learn Puppy’s, Check-Up Kit. This is a new Fisher Price toy this year, and it’s great for role play. There are over 60 songs and phrases which introduce your child to different parts of the body, colours, healthy habits and more. It’s an interactive Check-Up kit and comes with check-up items. 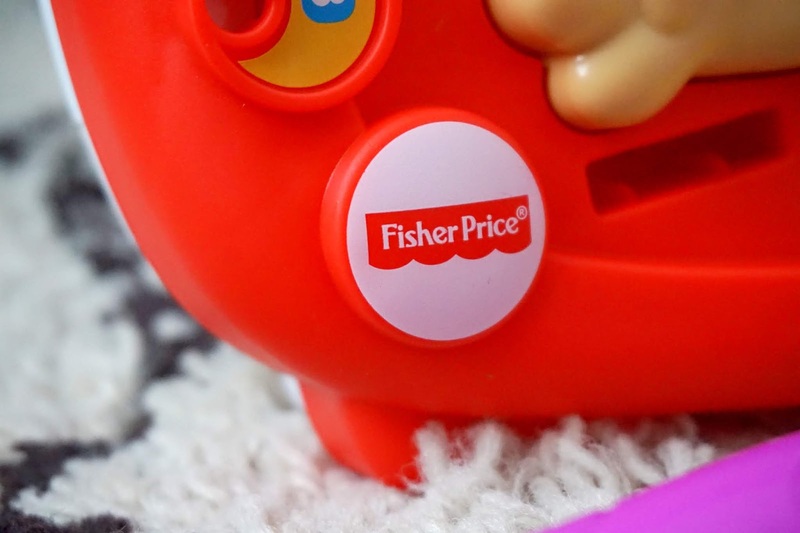 Again, this has Fisher Prices’ Three Smart Stages, which makes this toy grow with your child. 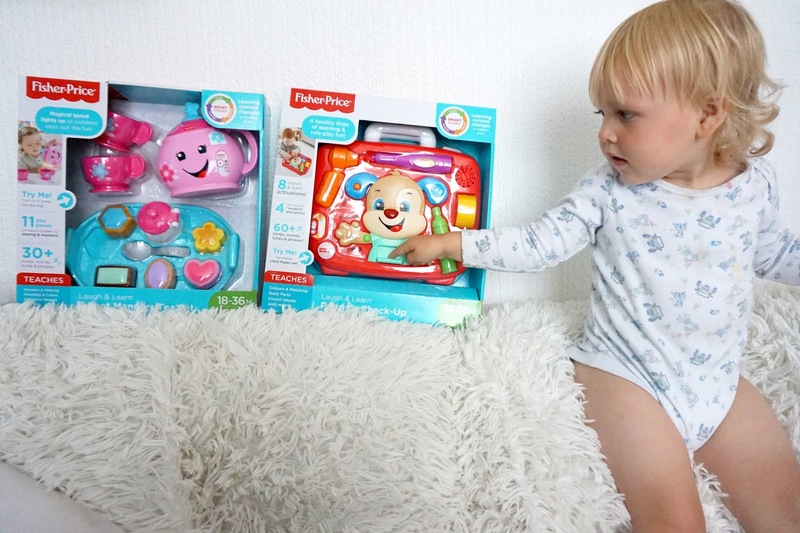 Freddie has loved playing with this Puppy’s Check-Up Kit. He’s been carrying it around by its handle and giving us all check-ups as well as giving Puppy his check-up too. The pieces store on the check-up kit easily, great for keeping away. These two toys are suitable for ages 18-36 months, and I would honestly recommend them. 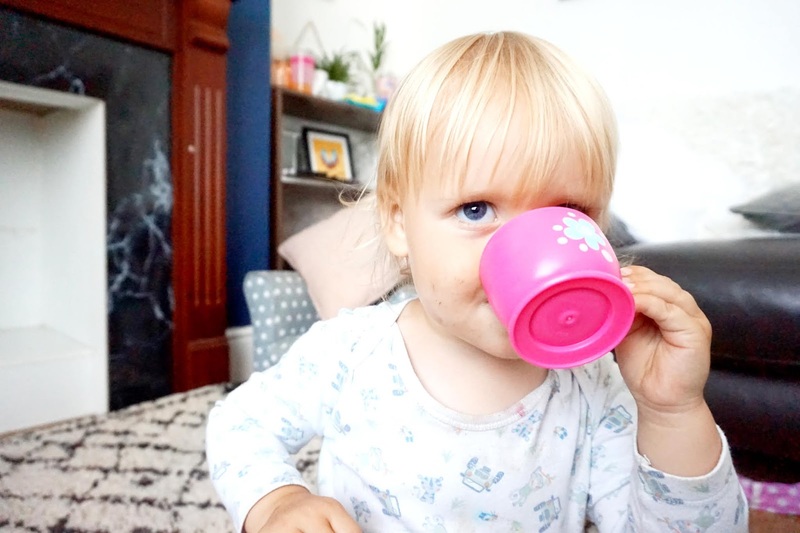 They are a great way to make learning fun, and I love the fact that they grow with your child, using their Three Smart Stages. They both have lots of different sounds, songs and phrases that Freddie loved and still loves. He has been making us cups of teas many times a day on a daily basis ever since we received these products. We were sent these items for the purpose of this review.